Hi – My name is Bari (in the middle with the yellow fuzzy hat!) and I grew up in Tenafly, New Jersey with two brothers – one of who works at HCDC with me! I have been going to summer camp my whole life. I recently received my Masters in Elementary and Special Education from Teachers College, Columbia University and I currently teach at PS 276 in Lower Manhattan during the school year. Before working at HCDC I spent an exciting summer helping to build a school and teach in a small village in Kenya. During that summer abroad I lived with a Kenyan family while assisting locals in the construction of a classroom. I also taught English classes to students who were recently exposed to free primary education. Without electricity, plumbing and any knowledge of Swahili, my first few days were unfamiliar and uncomfortable. However, after just a few days of interacting with the incredible people in the community, I learned that there are ways to connect with people that go beyond sharing the same native tongue – songs, pictures and smiles are all part of a universal language that allow us to share our experiences. My time in Kenya taught me that the most important people are the ones we are with at that moment. To truly see them for who they are, and not what they have. This experience drew me back to a time when I was a camper and everyone at camp always used the phrase “stay gold.” I didn’t think too much about what that meant as a child, but yet the saying has always stuck with me. Stay Gold. Much like with my experience in Kenya, the first few days at camp for new campers may seem unfamiliar and uncomfortable when you don’t know anyone. 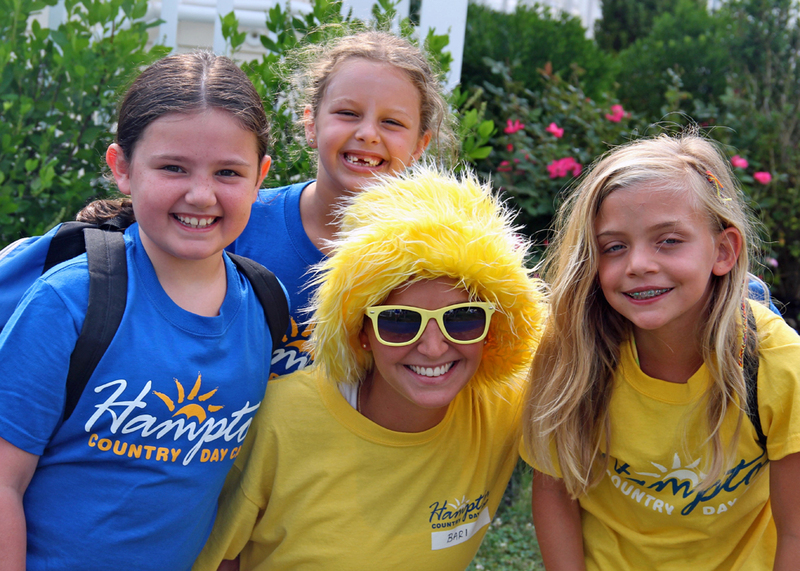 However, through our STARFISH principles and all the ways that we connect with one another through games, activities, and special event days, I have found that HCDC fosters an environment where every camper has the ability to just be yourself. Or as I now like to say, to “stay gold” – to be true to yourself and who to who you are. This upcoming camp season marks my 3rd summer at HCDC. Being a part of the HCDC family has allowed me to be who I am, and in turn, to allow my campers to be who they are too. I am so fortunate to be able to surround myself with positive energy, enthusiasm and most importantly nonstop laughter when I’m at HCDC! I could not be more excited to begin my new position at camp this summer as the 2nd grade girls Division Leader!! I am so looking forward to all the great people I will get to work with this summer, and especially to meeting my incoming 2nd grade girl campers! Remember everyone – Stay Gold!! !